I’m perpetually behind. This college prof gig is the most rewarding AND the most demanding thing I’ve ever done. But today is a new day. Social media monitoring is one of the biggest missed opportunities for businesses today. 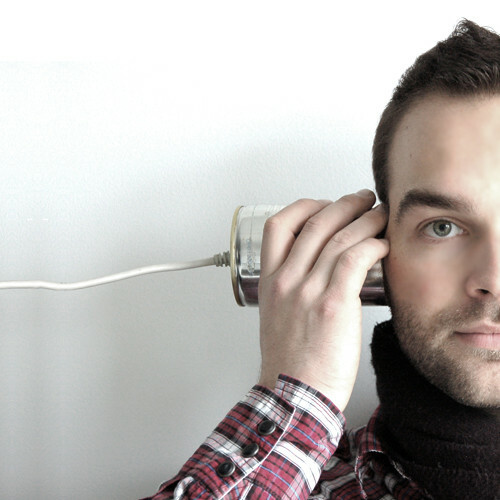 Also known as social listening, it involves monitoring what people are saying on social media about your business and the issues that affect it. This allows organizations to identify opportunities as they happen and reach out proactively rather than reactively. Identify a current issue where an organization’s listening and engagement on social media (or lack thereof) has or could potentially impact their reputation. Propose a positive response by the brand. I enjoy reading all of my student blogs, but here’s my top pics. Enjoy! Twitter is hard. Believe it or not, there is a right and a wrong way to tweet. And while some people get it, others definitely don’t. I think I’m a really funny tweeter – usually because I’m not afraid to tastefully laugh at myself. Granted, I try REALLY hard, but I think I’m hilarious. There’s just something about making people chuckle that I think is really rewarding. But I think in a quest to adequately target and entice a young and spry audience, American brands have taken to Twitter in a way that’s – well – bad. Engagement is great. Actually it’s more than great. It is so, so, so, SO important. But humor is so sensitive these days that it’s important to really dissect your jokes before you post them online. Last week, Canadian comedian, musician and dancer Nicole Arbour posted a Youtube video titled “Dear Fat People.” The comedian posts many “rant” videos, where she takes a current issue and voices her (typically offensive) opinion. She started gaining popularity when her “Dear Instagram Models” video went viral on Facebook with people praising the harsh truth she spoke. But “Dear Fat People” went viral for another reason, a very negative one. When a comedian pokes fun at someone who CHOOSES to do the belittling behavior, like posting racy photos on the Internet, people can laugh. But when a comedian chooses to poke fun at someone who has health issues out of their control, people will get mad. And they did. Read more. Instagram Reaches 400 Million Users! My first instagram taken at SXSW 2011. Instagram reached a milestone this week: 400 million users sharing more than 80 million photos per day. Whoa. In just five short years, this platform has changed the way we share and record our lives. I’m sure it’s champagne all around for founders Kevin Systrom (@kevin) and Mike Krieger (@mikeyk). 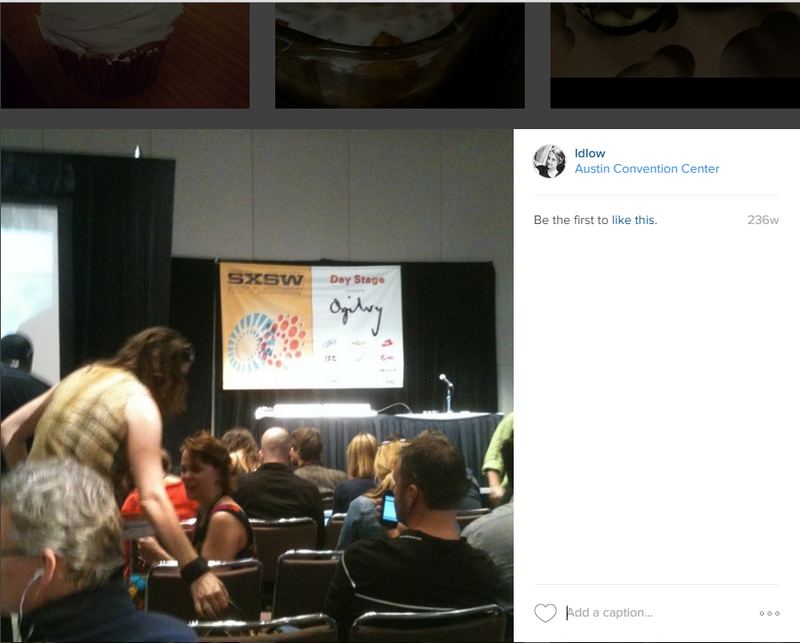 My first “insta” was posted (very fittingly) during SXSW 2011. Grainy image, no caption. Now even amateurs can create stunning works of art with nothing but a smart phone and in-app filters. Instagram is a powerful platform for branding and visual storytelling, and with each new enhancement (advertising and full-size images) they make it more enticing. What’s on your insta wish list? While you’re thinking, check out this cool history of Instagram at WERSM and check out what I’ve been up to @ldlow. A single tweet sparks an inferno. (More like Mrs. O'Leary's cow). AKA, the tweet heard ’round the world. I generally don’t blog about work-related crises (especially when it’s sports-related), but this weekend’s social media mayhem deserves an exception. I have witnessed how fast real news and fake news can spread via social media, especially twitter. What makes us hit the RT or the share button so quickly? I’ll leave that to behavioral experts. Even as my fingers are itching to spread information as fast as I can (and, oh, to be the first is so thrilling), I take the extra time to confirm what I’m sharing. I want my followers and friends to trust my updates. By Sunday morning, Twitter, Facebook, bloggers and mainstream media from USA Today to ESPN had LITERALLY picked up the ball and run with it. The ball? A tweet from A&M AD Bill Byrne. Our own community was ripping us apart, condemning our students for everything from spray painting the buses to physically depositing bowl movements on the bus floors. With no proof, no police report, no investigation, no … FACTS. Just a single tweet. 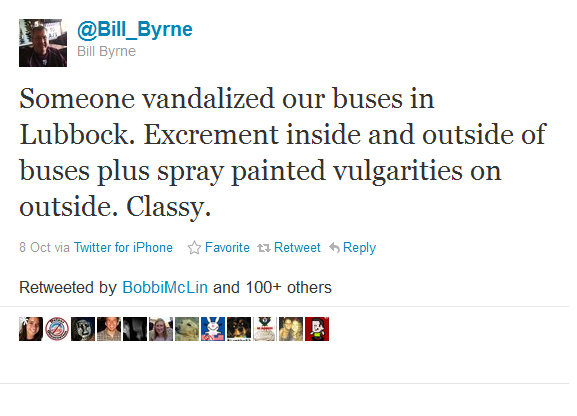 The buses were not spray painted. Instead, washable shoe polish was used on the windows of one of the buses. No feces were found either in or on the buses. Fish bait was dropped onto the floor of one of the buses. The alleged “vandalism” was cleaned by the bus drivers and Holiday Inn staff before it was seen by the A&M official who tweeted the information. While incidents such as the ones alleged are inappropriate and strongly condemned by Texas Tech, it is no less wrong to condemn the entirety of our university, students and supporters by posting inaccurate information on the internet for the purpose of sensationalizing the actions of one or a very few. We are disturbed by the careless use of social media to share these inaccuracies. After Netflix announced it’s new pricing scheme, people have taken to social media in droves to voice their concerns over the $7.99 price points for streaming AND unlimited DVD service, $15.98 for both. Ummm, anyone who deals with pricing knows, it’s risky to do a “two-fer” without giving a break. Why not make it $13.99 or even $14.98? “Dear Netflix” is trending on Twitter (WORLDWIDE). And at around 11 am CDT, they had 33,373 comments on Facebook. Oh, my. Will Netflix stick to their business strategy or cave in to the pressure? My guess is that they will have no choice but to make some kind of adjustment. Having weathered some PR storms myself, it’s hard to pinpoint current customer voices in all the din. 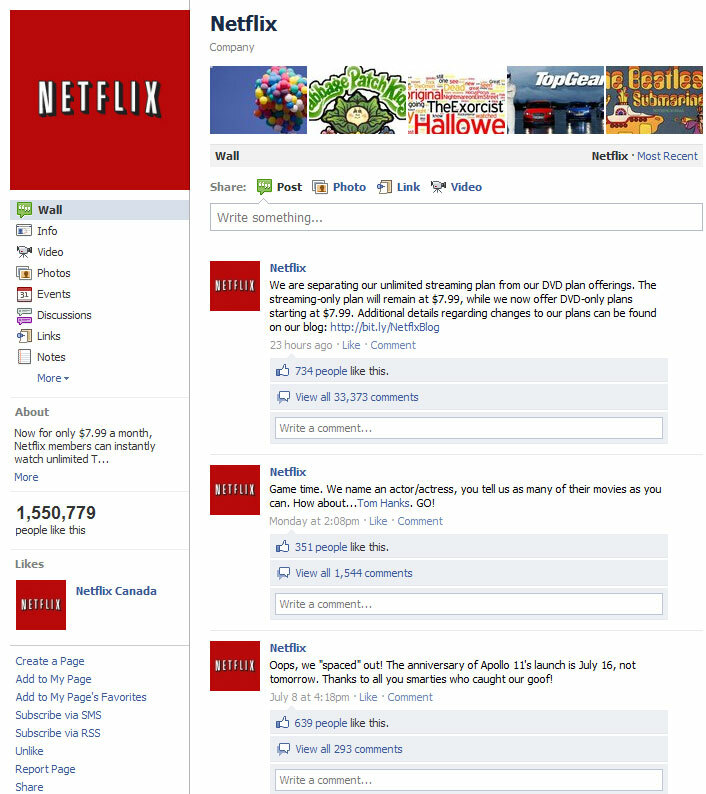 Many of the complainers may not be former, current or future Netflix customers. Hang in Netflix! Time will tell. What do you think? Stay tuned and I’ll keep this post updated! 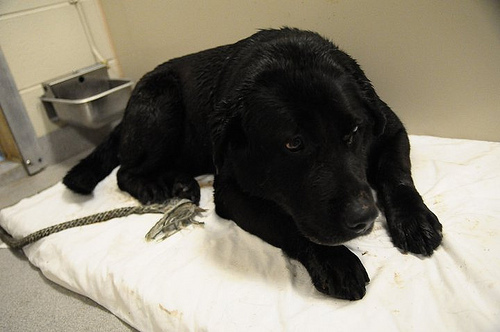 Female lab at the Joplin Humane Society Animal Adoption & Resource Center via Lost & Found Tornado Pets 2011. It’s breaking my heart to watch the headlines, ireports and tweets as the full impact of the Joplin tornado unfolds. I followed the impact social media had on the coverage and response to the earthquake and tsunami in Japan in March and the tornado outbreak that ravaged the town of Tuscaloosa in April, but I sit here amazed at the social media response to Joplin. Maybe it hits home for me because I lived and worked in the KC area for many years. Maybe it’s because the first tweets I saw were from a colleague in Pittsburg, KS. All I know is that I’m touched and inspired by what I’m watching. Finally, I’m ashamed to admit it, but I tried the SMS-to-donate technology for the first time today. Insanely simple to give $10 to the RedCross: Text REDCROSS to 90999. Do it now. Update: New York Times reporter Brian Stelter has posted a thoughtful and compelling account of how he used Twitter to report on the aftermath of the recent tornado in Joplin, Missouri. According to a a new study release by the Pew Research Center’s Project for Excellence in Journalism, Facebook is becoming increasingly important as traffic sources of mainstream media outlets. For five of the news Websites studied here, Facebook ranked as the second or third most popular driver to their content. At the top was Huffingtonpost.com, which derived 8% of its traffic from links to Huffingtonpost.com content posted on Facebook. At the low end were AOLNews.com, MSNBC.com and the local aggregator Topix, which each derived 1% from Facebook. The New York Times was near the higher part of the spectrum; 6% of its traffic came from Facebook. Of the top 21 sites for which there were data, Twitter showed up as referring links to just nine. And for all but one of those nine, Twitter sent only about 1% of total traffic. So can Texas Tech really be outperforming mainstream media? Perhaps our audience wants a closer relationship with us than they do with the Huffington Post. The only surprise here is the Twitter stat because we autopost all headlines to our Twitter stream, then repost the most interesting ones. A trend to watch and a stat to improve on. Share your thoughts and stats!